John Passmore Edwards was born in Blackwater, Cornwall, in 1823 and went on to make a fortune from publishing popular technical magazines like the English Mechanic and Building News. He used his fortune to establish hospitals, convalescent homes, institutes, art galleries and museums, as well as libraries in London and Cornwall. Edwards was also involved in campaigns against slavery, and was a notable opponent of the Boer war. He was a supporter of the Chartist and Temperance movements, and a lifelong advocate of parliamentary reform. He was briefly a member of parliament for Salisbury, where he opposed the interventionist policies of the British government in Egypt. 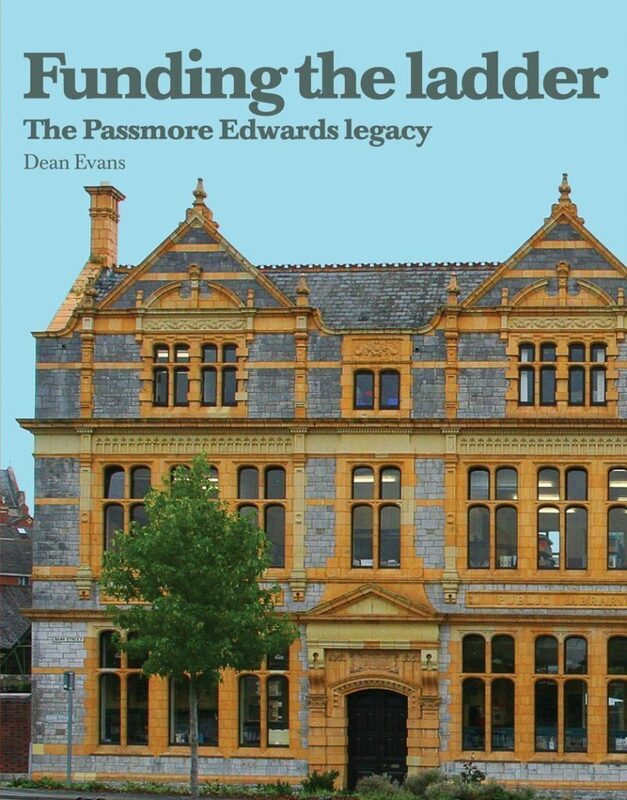 Passmore Edwards believed that by ‘funding the ladder’ through bequests and philanthropy the poor might be encouraged to ‘climb’; his legacy is the extraordinary number of buildings, many bearing his name, that support this passionate belief. Dean Evans worked in local government and for the Environment Agency. He became involved in the restoration of the Blackwater Institute, one of Passmore Edwards’ earliest bequests, and developed a project to celebrate the centenary of Edwards’ death. He has written numerous articles on Passmore Edwards and addressed history groups in Cornwall and London. He lives in Cornwall.